Are you looking to improve your office coffee services? Then look no further! At Nexus Drinks, we supply a range of office coffee machines and vending machines. We also supply regular refill services for brands such as Flavia. We have over 25 years of experience and have incorporated our industry knowledge into providing high-quality office coffee services. So, whether you need a bean-to-cup coffee machine or a device that brews a great expresso, we can help you find what you’re looking for. What is the Nexus Drinks mission? We are aware of the impact that the coffee industry has on the environment. It’s why we work with ethical companies such as The Rainforest Alliance and Fairtrade. Nexus provides Rainforest Alliance certified tea and Fairtrade coffee beans. What should you consider for your office coffee services? If there is a large workforce then you’ll want a coffee machine that can be refilled quickly. Flavia and Klix brand coffee machines are ideal for busy environments. Some businesses may benefit from bean-to-cup coffee machines because there will be fewer cups that need to be brewed. It’s important to consider whether you want a tabletop or freestanding machine in the office. Tabletop machines are usually appropriate for an office kitchen or breakroom and are usually a better fit for existing space. Freestanding machines normally have a greater capacity. Providing free cups of coffee and tea is a great way to create goodwill among employees and customers. But if you wish to charge people for drinks, then our Flavia and Klix machines can be fitted with the appropriate technology. Klix provides a wide range of instant, branded high-quality drinks. However, Flavia and bean-to-cup machines are excellent at providing the fresh ground flavour. 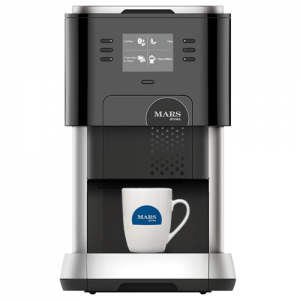 What office coffee machines do we provide? We supply a range of machines that can improve your office coffee services. We’d recommend Flavia for the versatility and freshness. With the Flavia range, the beans are ground at the factory and are immediately packed in a nitrogen environment. This means when you open your new pack, it’s as fresh as the day it was ground. As well as coffee, a machine like the Flavia 500 provides your office with twelve different coffees (including cappuccino and latte), Yorkshire Tea, Galaxy hot chocolate and herbal and fruit teas. Alternatively, bean-to-cup coffee machines are a great option for those who want their coffee ground on demand. Bean-to-cup machines grind the extracted amount of coffee you need. They are practical, efficient and are sure to impress clients and employees. We offer a range of bean-to-cup coffee machines. When you come to make your decision, there’s a lot to consider. How many staff do you employ? What range do you want? Where in the building will the machine be installed? We can advise you on which machine would be best for your situation through our free consultancy service. Our staff have years of experience and are happy to answer any questions you might have about our products. To find out more about how we can improve your office coffee services, call us on 0800 3357 500 or email us at [email protected].